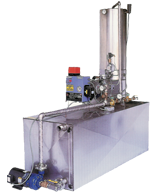 Whether a brewing or oil company, our customers always want to become more efficient and save money on fuel costs. That’s where machinery from Ludell comes in. 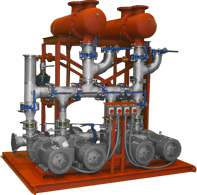 We are able to build custom-made machines that are not only efficient but have hot water available instantly. Ludell has more than 65 years of engineering and designing of customized heat exchangers, energy conservation units and water systems. We’ve worked with a litany of industries to custom-build solutions that will be more efficient and save fuel costs.